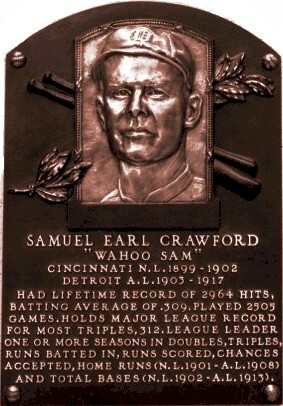 "Wahoo Sam" Crawford was born in Wahoo, Nebraska. He had 312 lifetime triples, which is the Major League record. He is the only player who led both the National and American League in home runs. 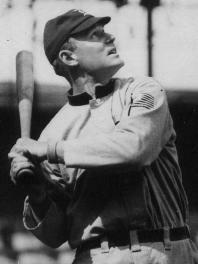 He had the American League record for triples in a season (26 in 1914). He led the American League in RBIs three times, triples five times, and National League triples once. He held the record for triples for both the Cincannati Reds and Detroit Tigers in a season. "Wahoo Sam" hit over .300 eleven times and his lifetime batting average was .309. He was elected to the Baseball Hall of Fame in 1957.